Gymnastics For All (including SEND) every day of the week at our main Kiln Farm facility. The most important thing that all our coaches want is for our gymnasts to have fun, meet new friends and feel that they are achieving what they want from their chosen sport. Based on the notion that gymnastics is a sport for everybody, Gymnastics for All is the flagship discipline of the sport. 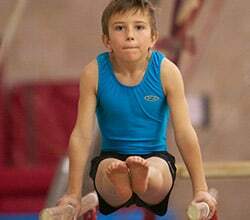 Offering a variety of activities, programmes, events and competitions suitable for all genders, age groups and abilities, Gymnastics for All contributes to personal health, fitness and well-being. It develops balance, co-ordination and confident body movement. It builds self-esteem, strength and flexibility, preparing the body & mind for life’s challenges. It is a sport for life and is conducted within a safe environment which caters for personal growth and development. They train 1hr a week. What will my child learn from a Gymnastics Class? Beginners can expect to learn the basic shapes needed for gymnastics as well as rolls, learning to take weight on their hands, for cartwheels, handstands and bridges. They will practice running and jumping and making shapes on the floor and in the air. 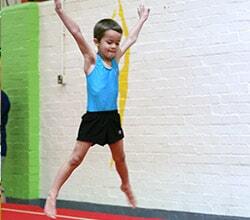 The air track is used to develop jumping, shapes and tumbling. Later on, as strength and flexibility improves, gymnasts can learn more advanced skills on floor, vault and tumble. It is hoped that all children attending our classes will gain something positive whether it be the acquisition of a new skill, improvement in co-ordination, strength, confidence and of course a sense of achievement. How will I know my child is progressing? 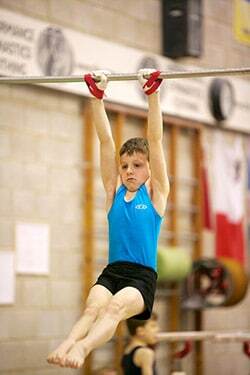 Apart from the improvement you will notice, gymnasts will work towards achieving British Gymnastics Proficiency Awards . This scheme encompasses skills on floor, bench, vault and rebound. The awards begin at 8 and work up to 1. After level 1 they can then progress onto bronze, silver and gold awards. We offer an annual friendly club competition for our Gym for all gymnasts. Those who train for just 1 hour per week may find that they progress quite slowly through the levels, unless they also attend our holiday courses, where badges are tested more frequently, although not every day. As with all sports there is an element of risk attached. We take great care in ensuring that our coaches have attended training courses run by British Gymnastics and other agencies. In addition all of our gymnasts at Kiln Farm, no matter what level, are insured. The club pays the basic insurance for all recreational gymnasts. Those gymnasts selected for squad will be required to take out and pay for additional insurance cover.